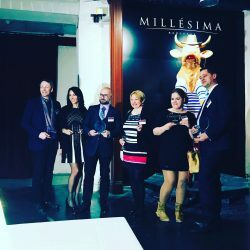 The 2017 edition of the Millesima Blog Awards has concluded. Here is a quick summary of all the wines, chateaux, meals, and places that our winners were able to visit and taste. 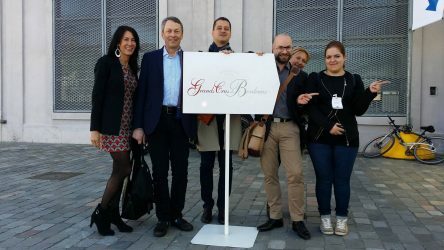 Our bloggers arrived on Saturday afternoon and enjoyed a drink at the Victor Bar with the InterContinental – Le Grand Hotel’s Head Sommelier. Shortly after, they had dinner at the Brasserie Le Bordeaux Gordon Ramsay. Our bloggers started Sunday with a lovely walking tour of the city. Followed by a visit to La Cité du Vin, Bordeaux’s wine museum, for a tasting of Chateau Haut-Bailly’s “Futures” (Futures are wines that have yet to be bottled, and are tasted before they are bottled to see how they will age over time). 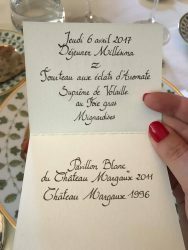 Sunday night, the bloggers had an amazing dinner that was paired with wines that were hand-picked by Fabrice Bernard, the President of Millesima. 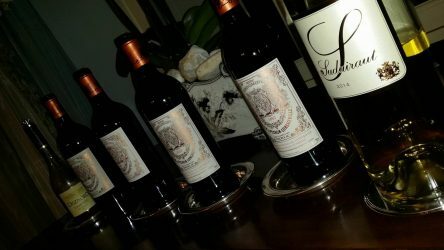 On Monday our bloggers tasted “Futures” from many different chateaux thanks to the Union des Grands Crus de Bordeaux (UGCB). 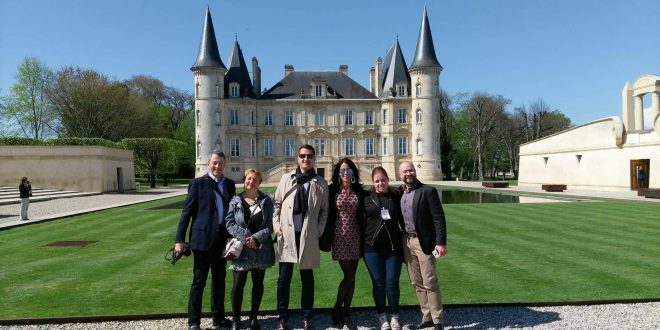 They visited Chateau Pichon Baron, Chateau Beychevelle, Chateau Montrose and Chateau Mouton Rothschild. A very busy day in St-Julien for our bloggers. 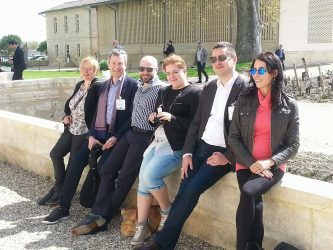 On Tuesday our bloggers visited Chateau Leoville Las Cases and Chateau Talbot. 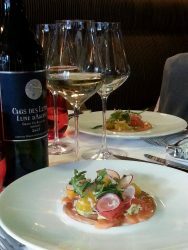 After their lunch, they discovered Chateau Kirwan to taste wines from the Margaux appellation. Wednesday morning, Pomerol! There, they visited Chateau La Pointe and Chateau Petit Village. In the afternoon; they visited Chateau la Gaffeliere in St. Emillion. 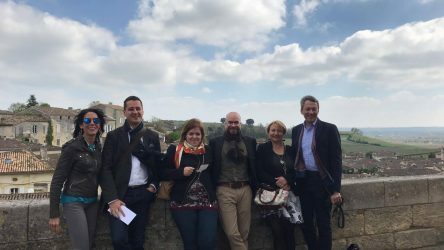 On Thursday, our bloggers had a private visit and exceptional vertical tasting in Sauternes at Chateau Suduiraut with the Mr. Pierre Montegut (Technical Manager). 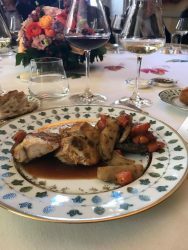 After Chateau Suduiraut, the bloggers visited Chateau Margaux for a private tasting and lunch with the Corinne Mentzelopoulos. 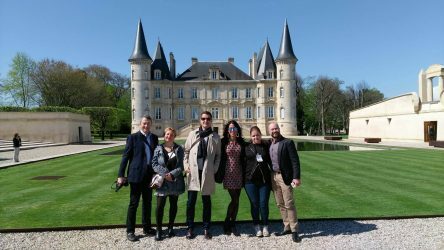 After a delicious lunch, our bloggers visited Chateau La Lagune to taste wines from the Sauternes appellation. Just before the farewell dinner, the bloggers enjoyed a vertical tasting at Chateau Pichon Baron. The farewell gala dinner was held at Pichon Baron with the Pichon Baron & Millesima teams. As you can see, our bloggers had a very busy and exciting week. For those of you that missed the admissions, check in this fall for your opportunity to visit Bordeaux and taste some of the most elegant wines and cuisine on the planet. Thank you to all that participated and contributed to the amazing week that our bloggers enjoyed. Follow our Facebook and twitter accounts for more videos and photos from the Millesima Blog Awards 2017.